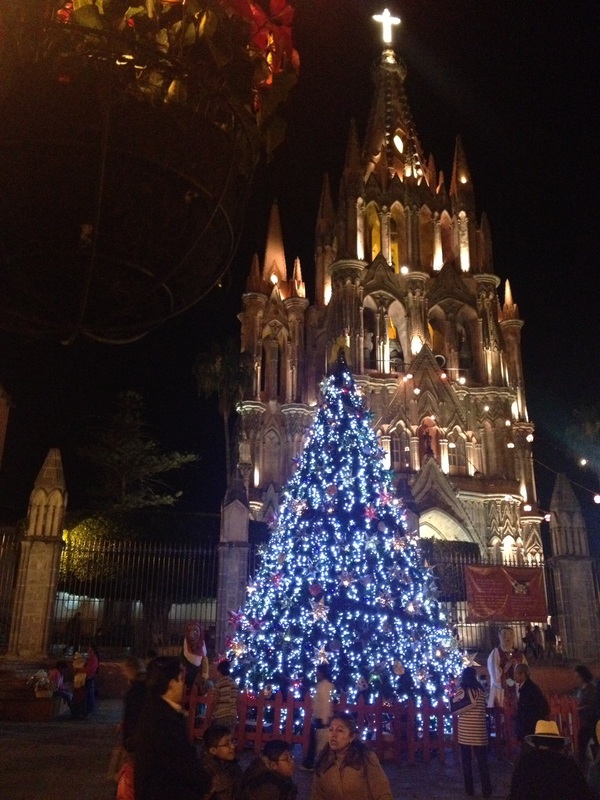 We’re spending our first Christmas in San Miguel. In some ways it doesn’t seem as “Christmasy” as usual. Maybe it’s the lack of white stuff on the ground? Or the absence of hats and gloves? Or is it the reduced emphasis on consumerism that we’ve come to associate with Christmas? But despite that – or maybe because of all that – It is a magical time of year. There is just enough chill in the air to bring out a festive wrap as we go into the square in the evenings. 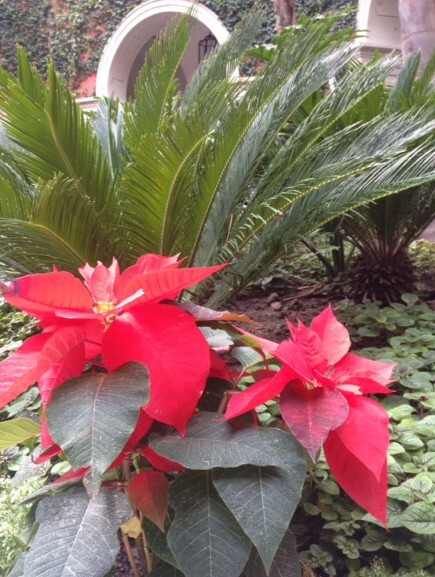 Buenanoches – poinsettias – line the gardens in El Jardin, the main thoroughfares and around the glorietas. Blue lights sparkle high across the streets in El Centro. And a huge tree is dwarfed by the magnificent cathedral behind it. 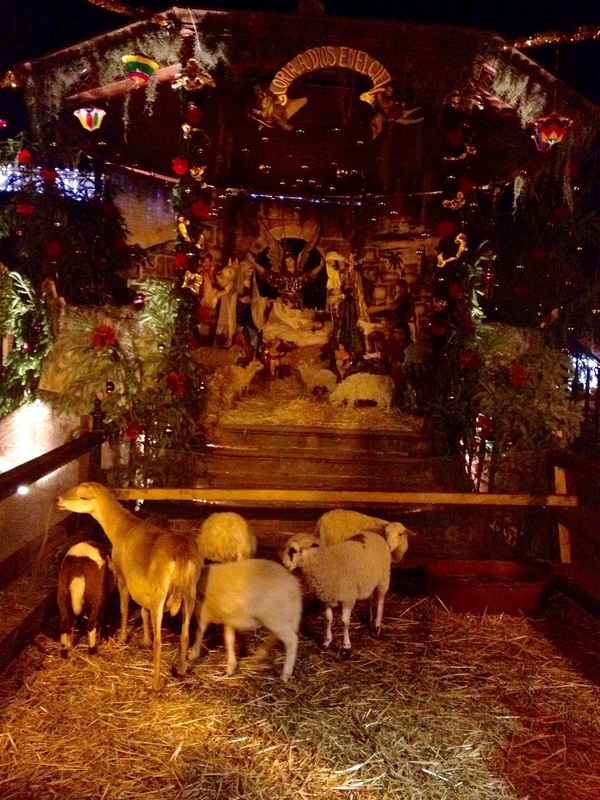 The gazebo in El Jardin is transformed into a nativity scene, complete with living sheep. 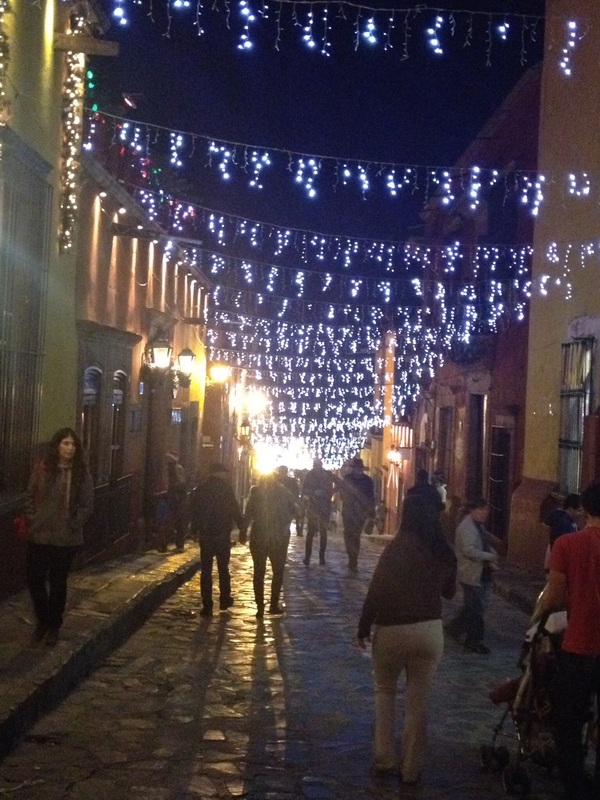 Living outside of El Centro, we haven’t seen any of the many posadas taking place in more historic neighborhoods. Parades of neighbors flow through the streets, singing carols and stopping at neighboring houses in a symbolic reference to Joseph and Mary searching for accommodations. Ultimately, they end up at a home and celebrate with refreshments and piñatas for the children. The warm gatherings of family and friends are at the center of the season here. And, although we’ve been here only a few months, we have experienced it ourselves. 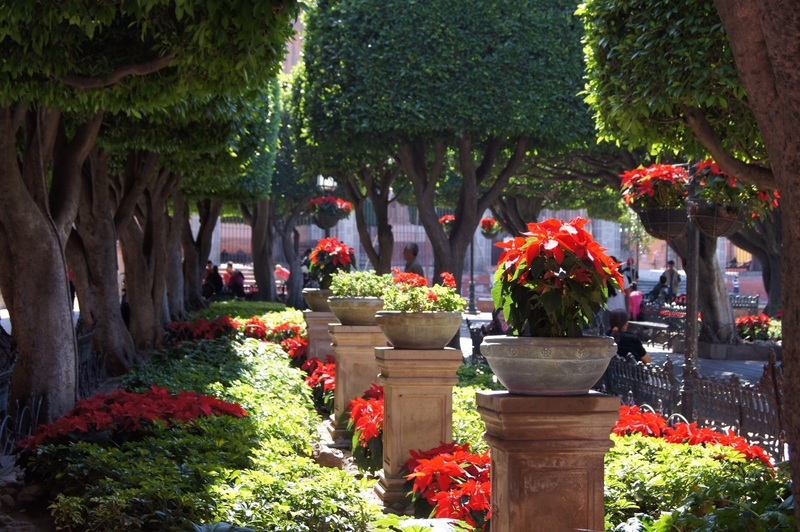 A constant flow of hospitality and friendly festivities has made this, our first Christmas in San Miguel, a very special one indeed.